If you’re like a lot of us, life can get in the way of following a healthy diet. Occasionally, we’ll realize we’ve fallen short of our goal to eat an optimal diet full of fruits and vegetables, whole grains, lean protein and healthy plant fats. So, we may take a multivitamin and omega-3 fatty acids (and potentially a few other supplements) as an insurance policy to make sure we are getting the nutrients we need to stay healthy. What is the optimal supplement timing for best absorption? Here are a few guidelines to help maximize the benefit of the vitamins and supplements you take. Q: Which supplements be taken with should be taken in the morning with breakfast? A: Breakfast is an optimal time to take your multivitamin, omega-3, and most other supplements as you’re likely at home and it’s convenient to pull the supplements from the cabinet while breakfast is heating. Keep in mind what you have for breakfast matters thought. Four specific vitamins – A, D, E and K are fat soluble and require fat for proper absorption. How much fat is enough? A woman consuming around 1,500 calories per day will likely eat somewhere between 40 and 50 grams of fat. Divided over three meals and a snack or two, each meal likely contains 10 to 15 grams of fat which is a good number to aid vitamin absorption. If your breakfast has 10 to 15 grams of fat, plan to take most of your supplements with this meal. If not, a more optimal supplement timing is with lunch or dinner. Q: Which supplements be taken with should be taken with lunch or dinner? A: If you’re someone who doesn’t eat breakfast, or if your breakfast is fat-free, for example an English muffin with jam, or fat-free yogurt and a piece of fruit then plan to take your multivitamin, omega-3 and most other supplements with lunch or dinner. While many experts suggest that supplements be taken with breakfast, it really doesn’t matter what time of day you take yours, so don’t fret if you’re not a breakfast person or mornings are just too busy – you can take your supplements at any meal. Because the goal is consistency, our recommendation is to pick a meal, or meals, and take your multivitamin and other dietary supplements at the same time each day. 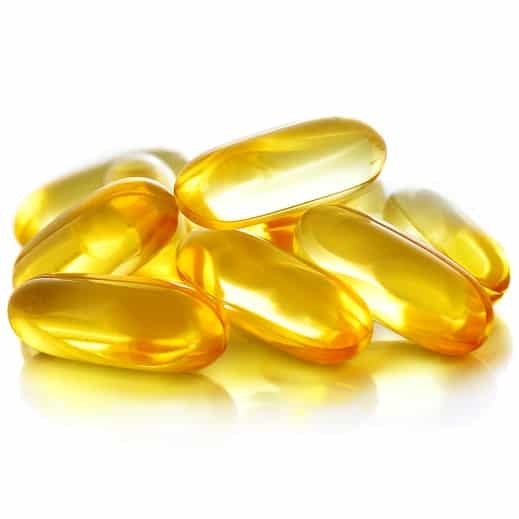 Q: When should I take my omega-3 supplement? A: While omega-3 fatty acids don’t require food to be absorbed, we recommend you take them with a meal that contains some fat as this reduces the potential for fish burps or bellyache. It’s unnecessary to split up the omega-3 throughout the day so we suggest you take this supplement when you take your multivitamin. Q: Which supplements be taken after dinner? A: For best results, the optimal supplement timing for Melatonin is to take the supplement an hour or so before bedtime as this gives time for the Melatonin to be absorbed. This is also a good time to take supplemental magnesium, if you need more than what’s in your multivitamin as Magnesium can be relaxing. Q: Which supplements should be taken in the evening at bedtime? A: While Calcium Citrate can be taken with food, for optimal absorption it’s best taken alone. With this in mind, we recommend calcium supplements be taken at bedtime as part of the bedtime ritual of brushing teeth, getting a drink of water, etc. Because the body can’t absorb more than about 500 mg calcium at a time, if you need 750-1000 mg of calcium, take 500 mg calcium when you brush your teeth at night and the rest when you brush your teeth in the morning. Q: Is there a concern with taking all my vitamins and supplements at once? A: No. The Cooper Complete Nutritional Supplement product line has been developed with the intention of the various products working together. We recommend that most people take a multivitamin and omega-3, and understand supplements for specific goals (Dermatologic, Eye, Joint or Prostate Health) and conditions (Vitamin B12, Vitamin D, CoQ10, etc.) will be added. 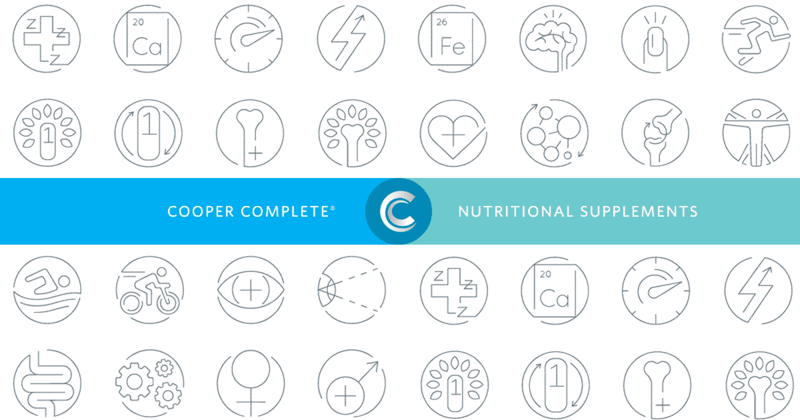 The cumulative levels of all the ingredients in the Cooper Complete Nutritional Supplement line are safe. This said, have you read the “Suggested Usage” information on product bottles? All Cooper Complete products give suggested serving sizes, followed by the statement “or as directed by your health care professional.” It’s important to talk with your doctor about what supplements you take in order to avoid possible drug interactions. For example, Vitamin K is not recommended for people on blood thinners, and Iron supplements are typically not recommended for men and post-menopausal women. One of the big benefits of taking Cooper Complete supplements is the knowledgeable Cooper representatives trained and ready for your specific questions, so contact us if you have a question or would like more information. Optimal Supplement Timing For Best Absorption article provided by Cathy Sides, Director of Customer Relations.